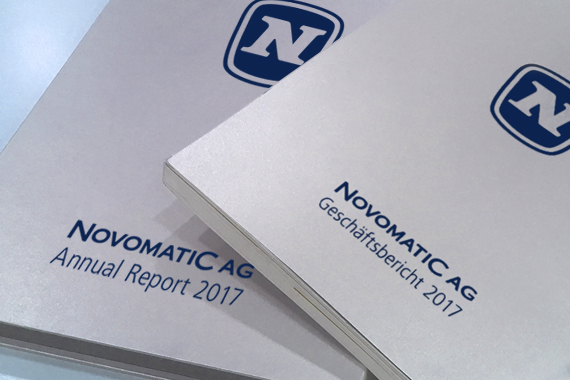 In the first half of 2018, NOVOMATIC Group generated EUR 1,365.3 million revenues, compared to EUR 1,212.0 million in the same period of 2017. The largest increase in revenues in absolute figures was achieved in the area of sales of gaming machines and other gaming equipment, which increased by 96.2 percent. The acquisition of Ainsworth Game Technology Ltd. contributed significantly to this development. Significant revenue increases were also achieved by an increase in other revenues by 40.9 percent over the previous year. This increase is largely attributable to licensing income in relation to lottery technology. Live Game revenues increased by 32.0 percent year-on-year due to a significant increase in the bingo business in Italy. Betting revenues increased by 16.6 percent compared to the same period last year. These revenues increased across all regions, especially in the core markets of Austria (+EUR 5.2 million) and Italy (+EUR 2.6 million). Earnings before interest, taxes, depreciation and amortizations (EBITDA) for the first half of 2018 came in at EUR 318.0 million, which is EUR 33.1 million above the result achieved in the first half of 2017. The operating profit (EBIT) increased by EUR 27.7 million to EUR 148.4 million. Equity increased by EUR 262.5 million to EUR 1,591.4 million. NetDebt/EBITDA LTM (Last Twelve Months) increased from 1.6x in the previous year to 2.2x. Cash flow from operating activities in the first half of 2018 amounting to EUR 167.7 million decreased by EUR 44.9 million from that of the previous year. This was due partly to higher cash outflows against 2017 from the change in net working capital, which contains the changes in inventories, receivables, business-related liabilities and other provisions. This mainly resulted from the build-up of inventories in connection with the replacement of gaming devices in Germany previously mentioned, the reduction of liabilities and the partly use of the provision for impending losses. Cash flow from investing activities decreased from EUR -308.4 million in the previous year to EUR -464.8 million during the reporting period. It is noted that an increase in cash outflows of EUR 203.9 million for the item “Acquisition of consolidated companies, net of cash”, resulted in particular from the acquisition of Ainsworth Game Technology Ltd.
Cash flow from financing activities amounting to EUR -144.0 million in the first half of 2018 fell from the comparable period last year (EUR -133.8 million). The deviation essentially results from two opposing effects. The higher repayment of non-current financial liabilities of EUR 42.5 million had a negative impact, which partly offset with the lower dividend distributions of EUR 26.3 million in the first half of 2018.